Reverse Proof - What is a Reverse Proof Coin? A reverse proof coin is a coin that is struck in the same manner as a normal proof coin, except that the fields are frosty and the raised devices are mirror-like. The term Reverse Proof does not mean that only the reverse side of the coin is struck in the Proof finish. The entire coin is in Proof finish, with the term "reverse" stemming from the fact that the fields are frosted rather than the devices. Although other mints from around the world have been making Reverse Proof coins for a number of years, the United States Mint produced its first Reverse Proof coin in 2006. The mint commemorated the twentieth anniversary of the Bullion Coinage Program by issuing a special American Silver Eagle bullion coin minted in Philadelphia and an American Gold Eagle minted at West Point. Both coins featured the Reverse Proof finish. Proof coins are specially made specimen coins sold directly to collectors that showcase the coin's artistic beauty. The process begins by specially preparing the planchets for striking. This usually involves burnishing or polishing the planchets and then washing them to make sure that there are no foreign objects left on a planchet surface. The coin dies used to strike Proof coins also receive special treatment. The dies selected to make the Proof coins are of the highest quality. Additionally, the dies receive a treatment to impart a frosted surface on the entire striking face of the die. Originally this was done by treating the die with acid. In modern times a computer-controlled laser imparts the frosted surface on the die. Since the devices of the die are recessed, the polishing process polishes the field surface only. When it is then used to strike a coin, the field is a mirrored surface and the devices are frosted to accentuate the details. The manufacturing process of reverse Proof coins is very similar. Planchets are selected for their high quality, burnished/polished and then washed just like regular Proof coins. It is the preparation of the coin die that makes the reverse Proof coin dramatically different than a regular Proof coin. Just like regular Proof coins, the coin die is specially selected for its high quality. Instead of applying a frosting over the entire surface of the die, the die is polished to a high gloss finish. A computer-controlled laser frosting machine then scans the surface of the die to recognize the difference between the field and the devices. Once that is complete the machine then uses its laser to apply a frosted finish only to the recessed device areas of the die. When the die is then used to strike the coin, the fields of the coin are frosted and the devices have a mirrored finish. Before the advent of computer-controlled machinery at the United States Mint, reverse Proof coins were a labor-intensive manual process. 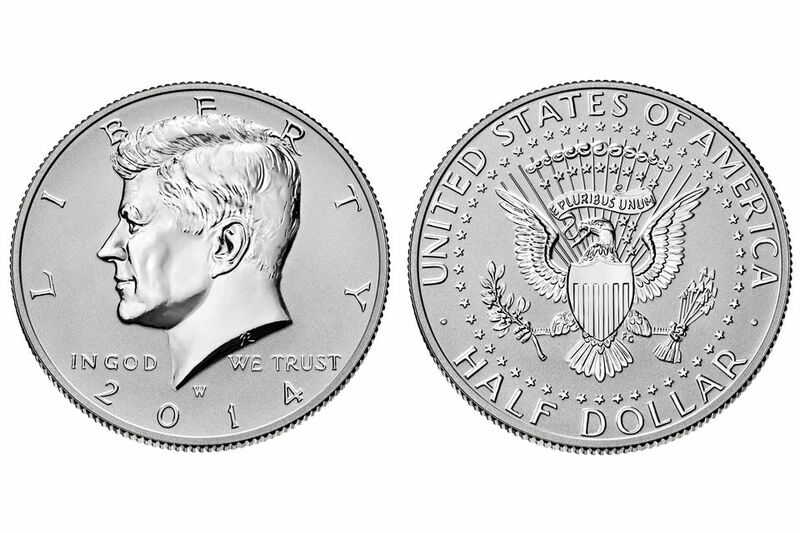 Since it was impossible to polish only the recessed devices on the coin die, a mint worker would have to apply a protective coating to the recessed areas so the acid would only etch the field areas of the coin die. This is the main reason why they were very few reversed Proof coins produced before the advent of computer-controlled technology. The reverse proof Gold and Silver Eagles are the most sought after coins of the 2006 minting year.